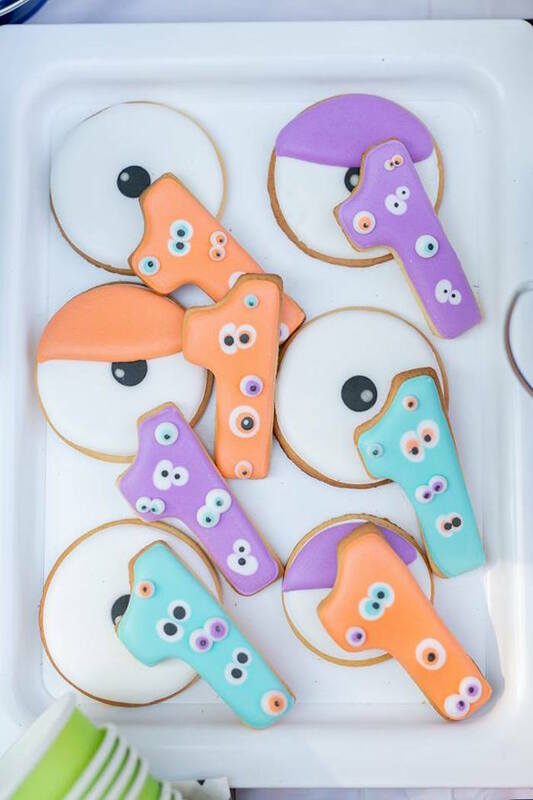 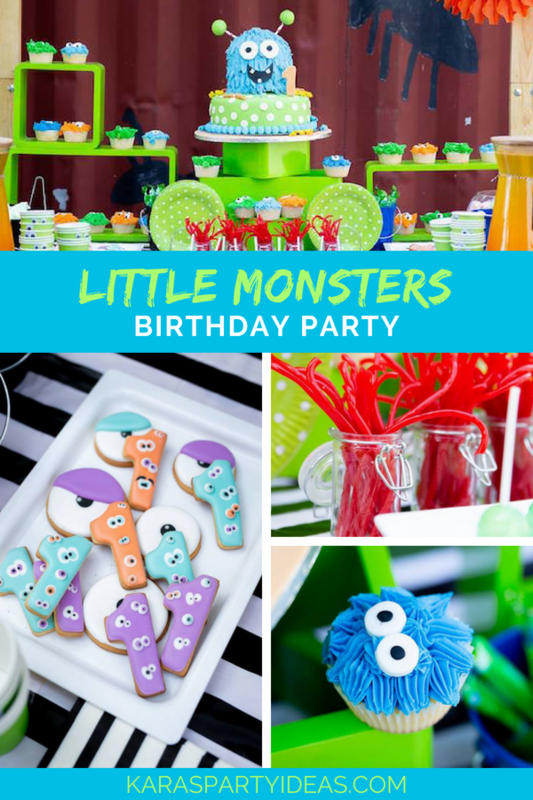 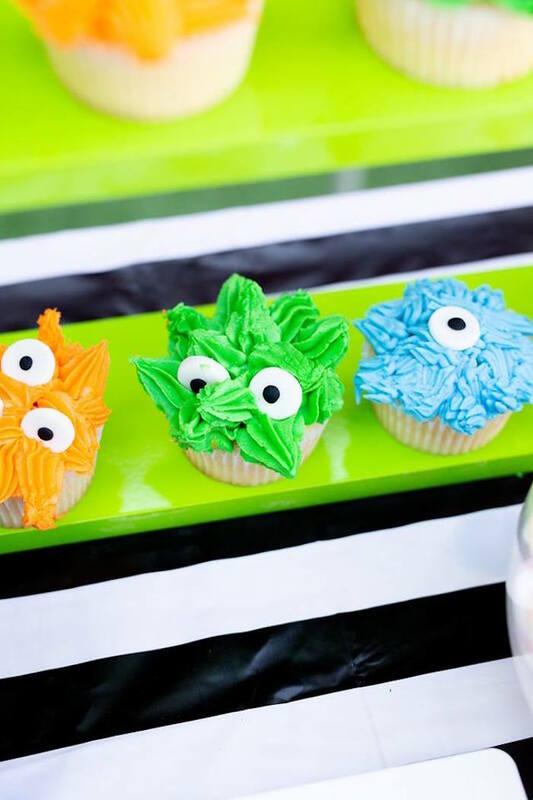 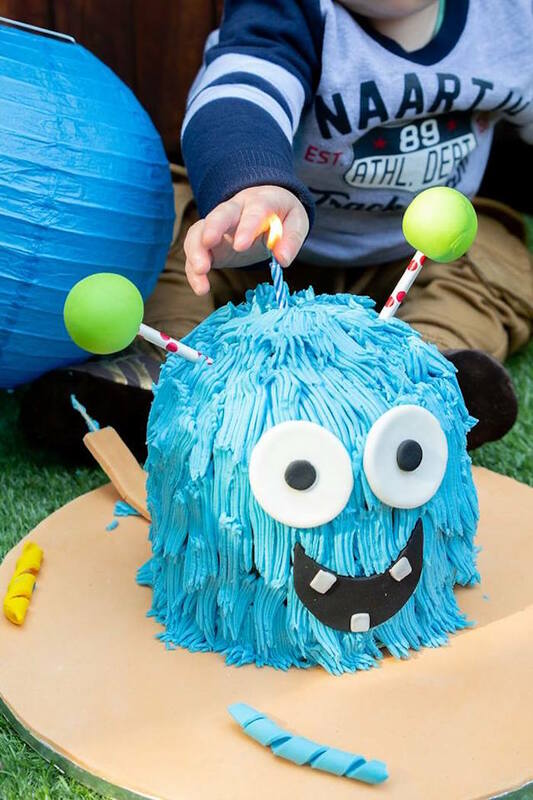 Filled with modern fun and monsters galore, this adorable bash is packed with details that will have you “screaming” for more! 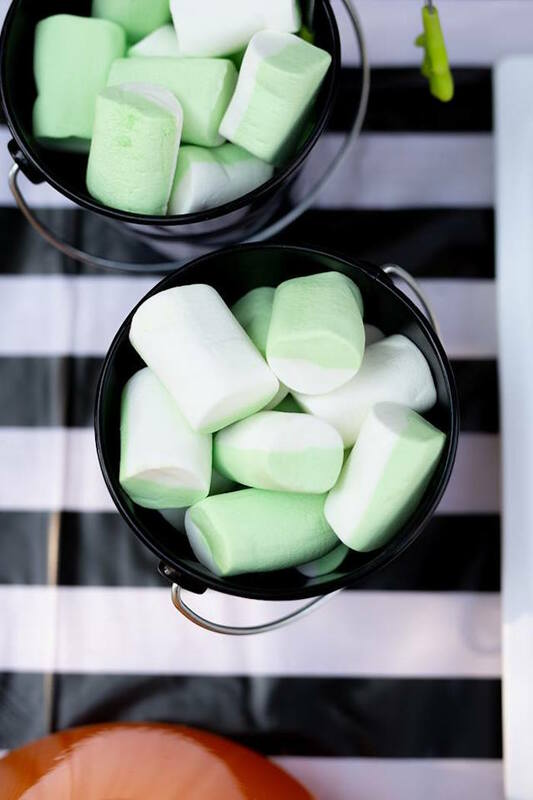 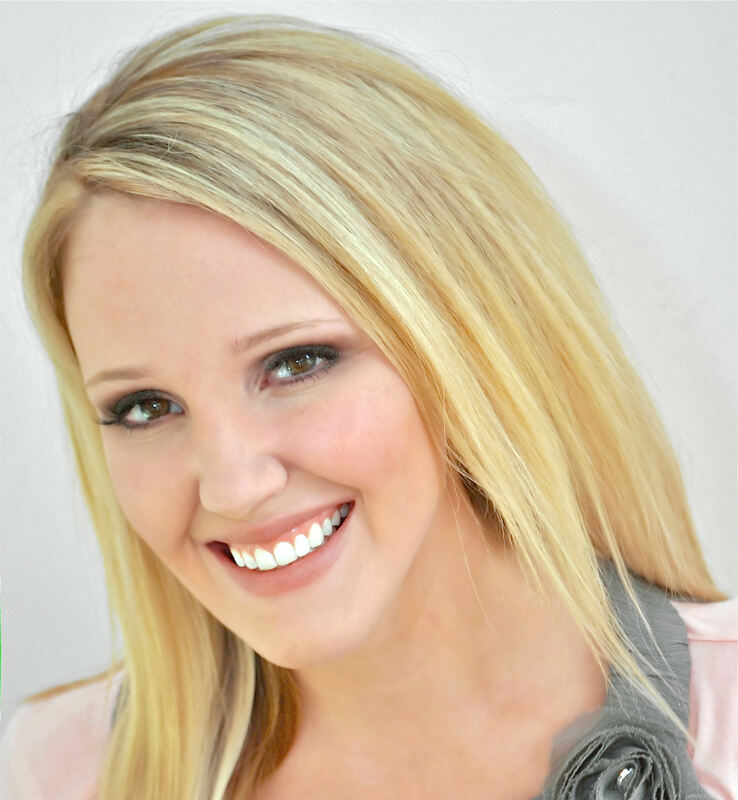 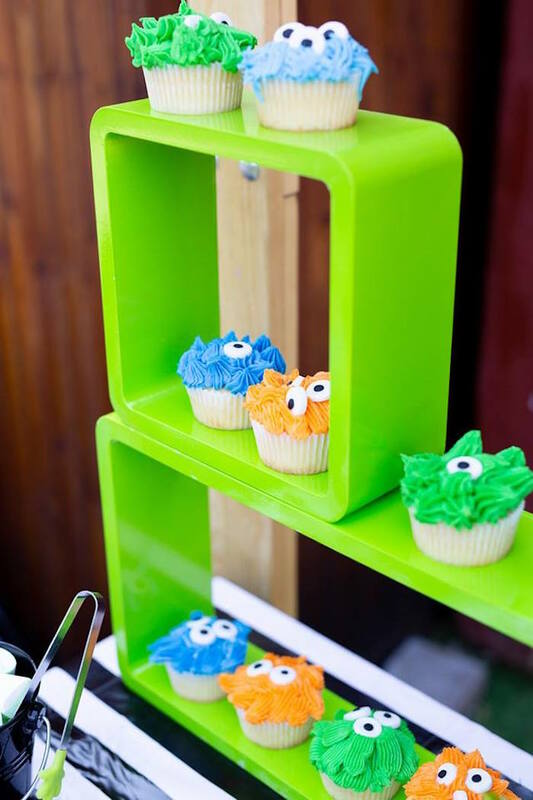 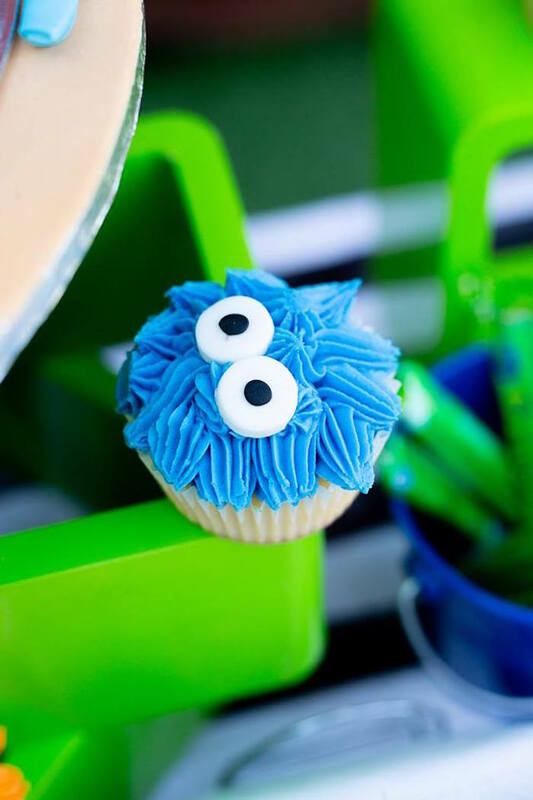 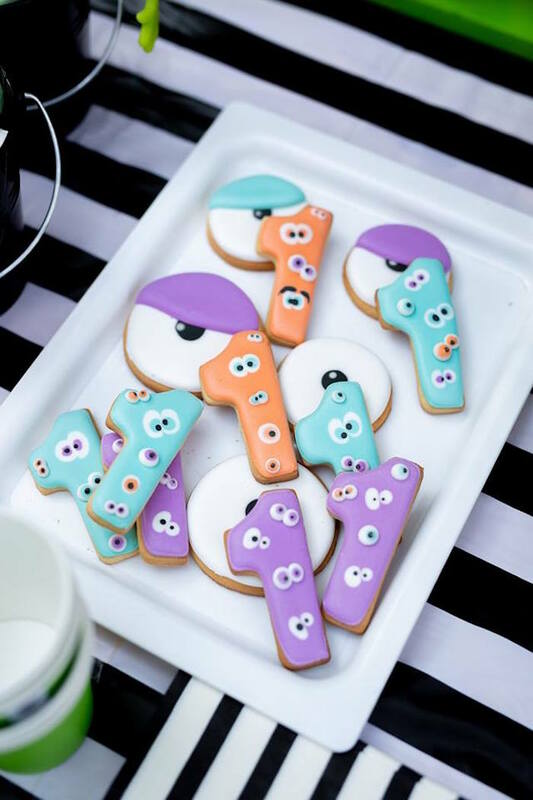 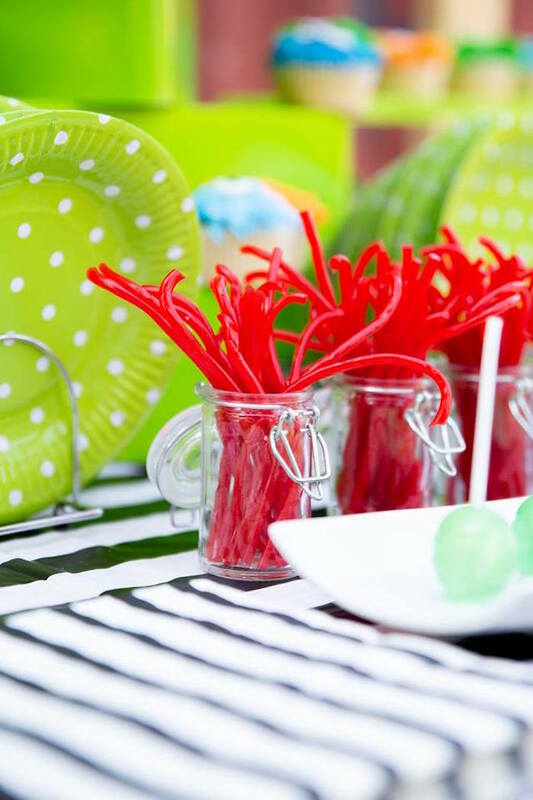 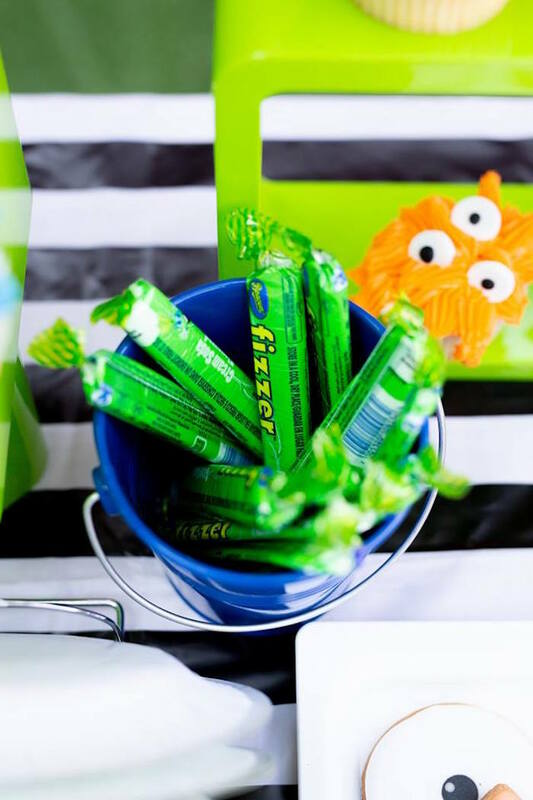 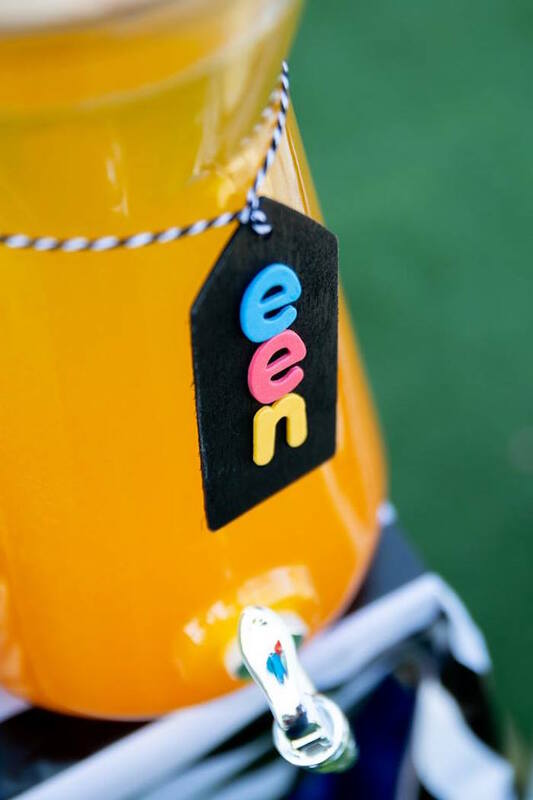 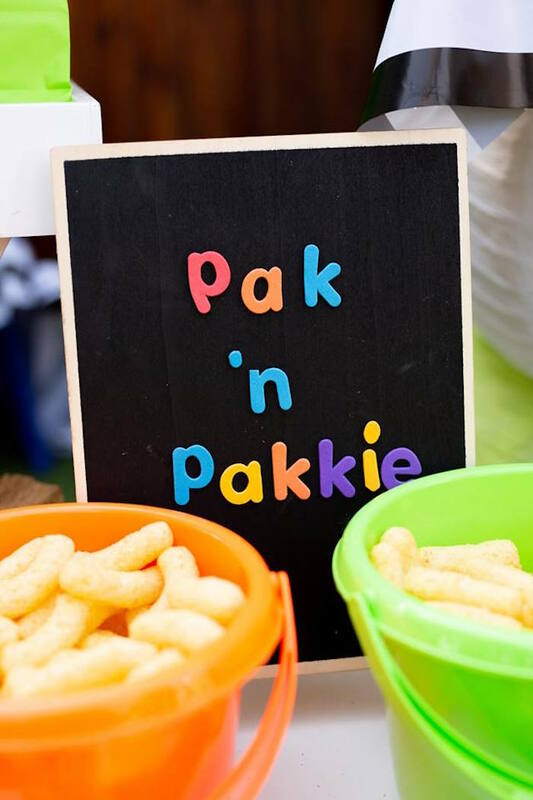 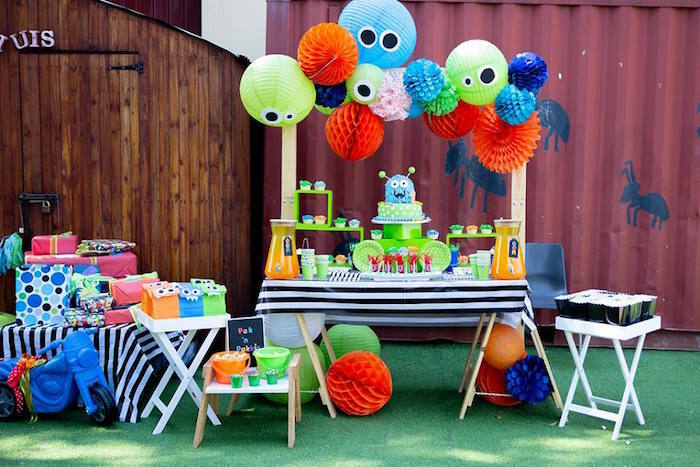 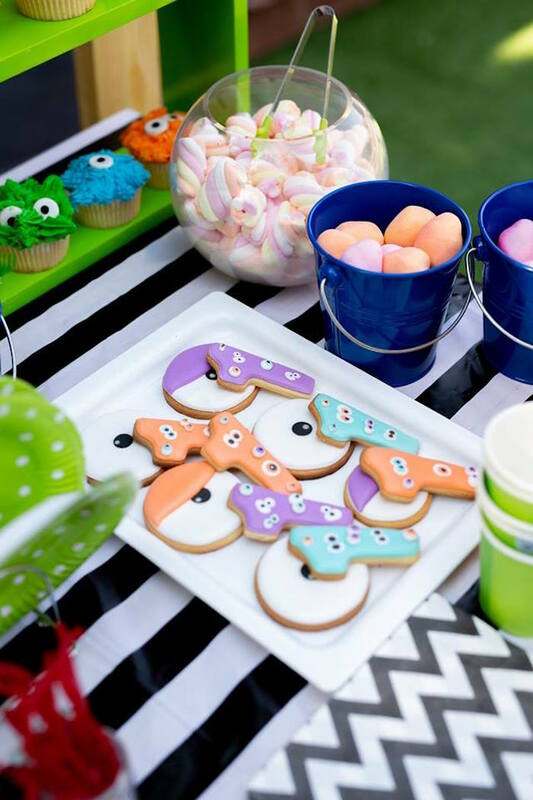 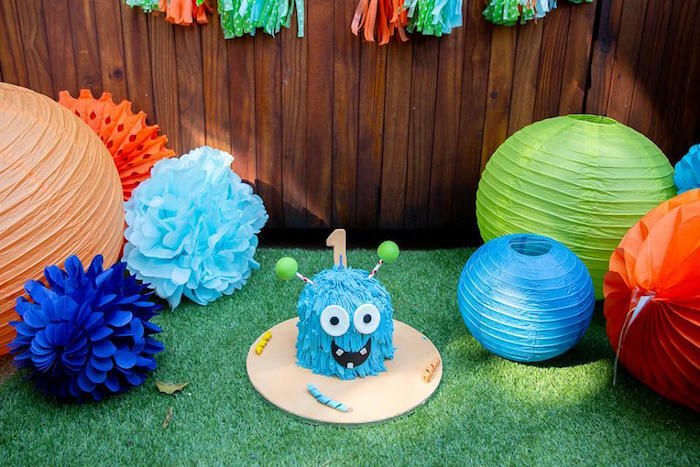 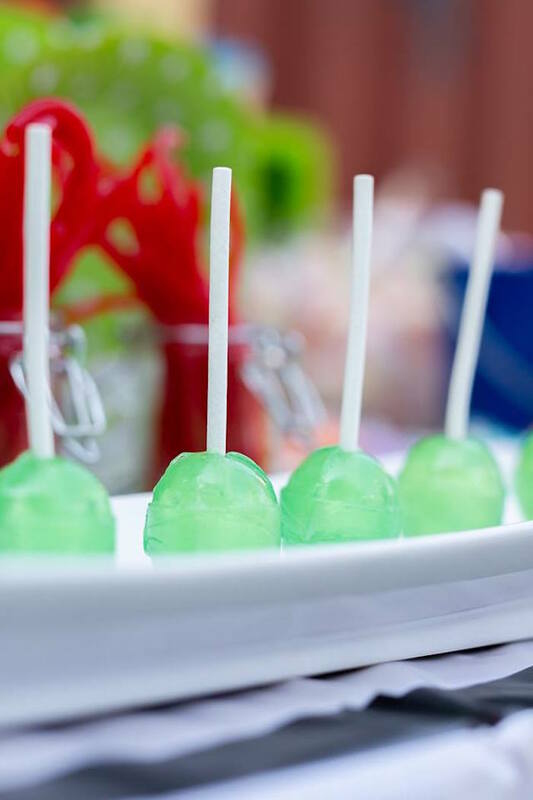 Celeste’s party snippet- “I just love working with quirky themes and loved this Little Monster theme! 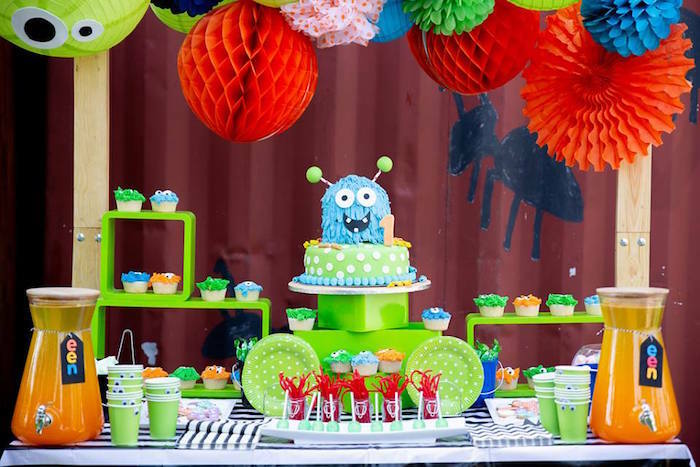 This mommy had quite a good idea on what she wanted but just wasn’t sure how to execute the details. 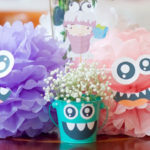 I decided to use black and white as the basic colour palette and added pops of colour. 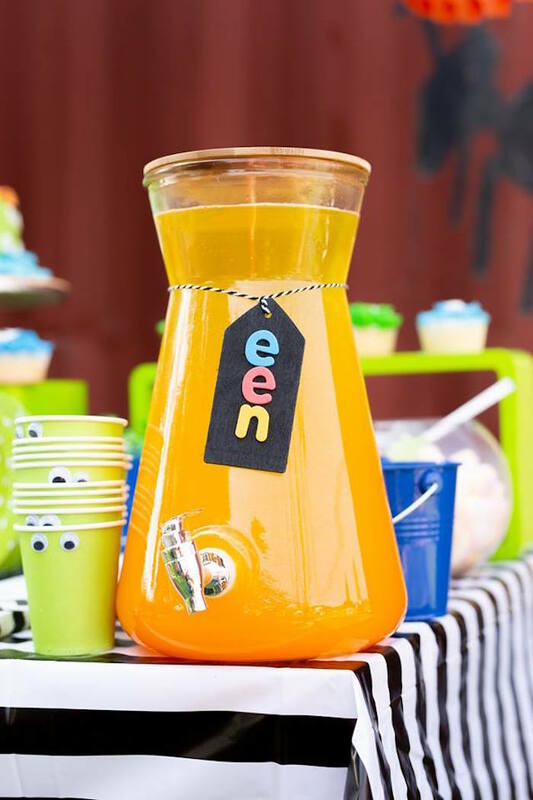 I loved the way the blue, orange and green played together. 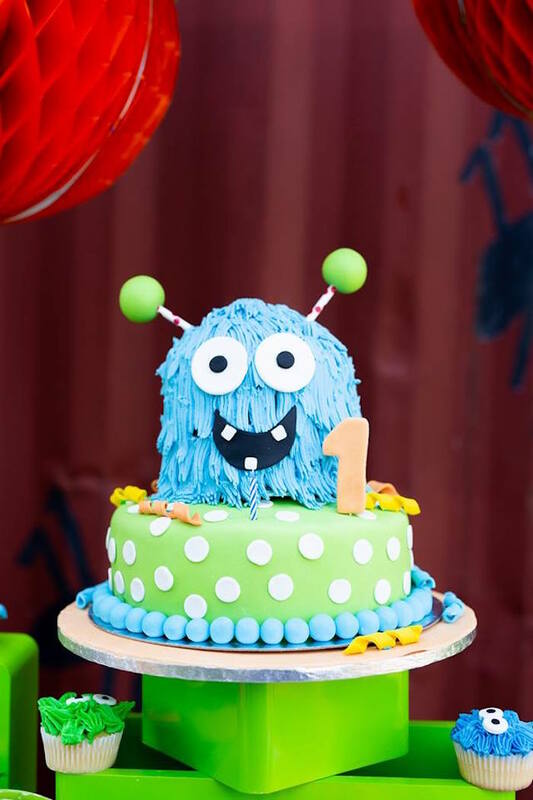 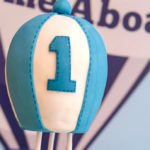 One of the tips I would love to share is the way we incorporated the “party” cake together with the “Smash the cake” cake.